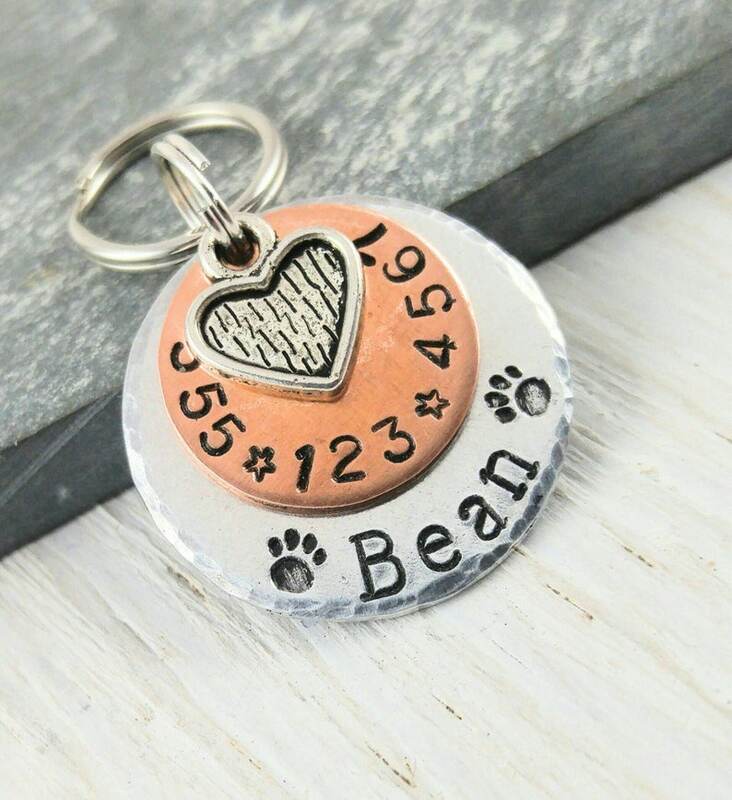 This pet ID tag for a cat or smaller dog, give you peace of mind when your furry friends start to wander. 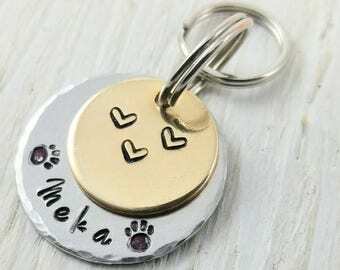 This tag is quite small, so is suitable for a cat. 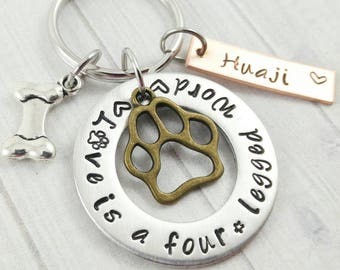 This also makes a cute puppy announcement for that new puppy in your life. 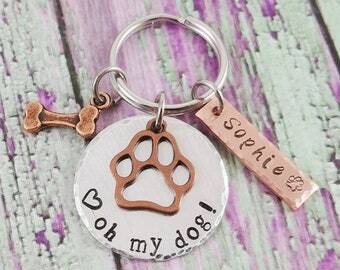 This tag would be a stocking stuffer hit as well! In one of the pictures I attached the cat name tag to a regular cat collar for scale. 2 split rings allowing for easy and secure attachment to collar or harness. 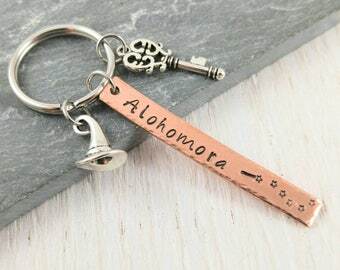 There is no more space to add anything to this tag in writing. Unfortunately we cannot stamp on the back of the disc since stamping shows on the opposite side. 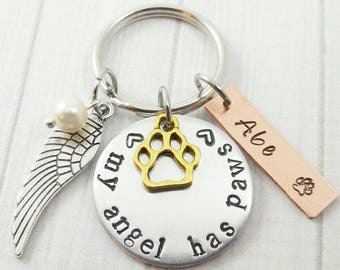 *** Please write your pet's name and phone number in the 'note to seller' message box during check out. Exactly what I was expecting. Super fast shipping. 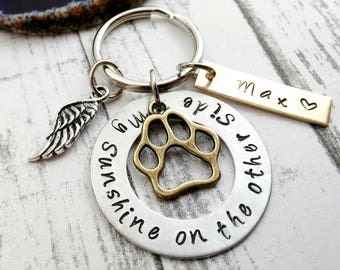 Can’t wait for our puppy to arrive and put it on him. Thank you soooooo much. 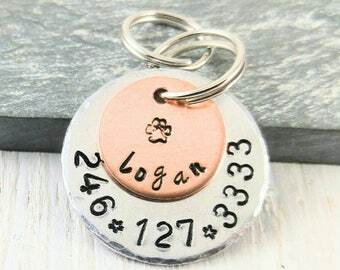 Absolutely love this dog tag and how well made it is. We received it very quickly and it is beautifully handmade. Will recommend to friends. 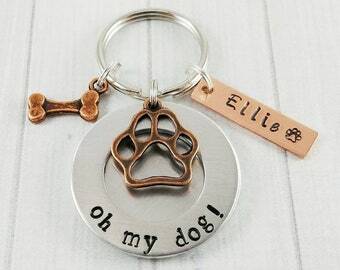 Great communication and beautiful id tag for my fur baby thank you!